Storing your boat in an interior storage unit can be a terrific way to protect your boat from the elements. Special care must be taken, though, to prepare your boat properly for storage in order to avoid corrosion and moisture from causing damage. Your boat should be cleaned on the inside and the outside. A rust inhibitor should also be applied to metal hardware, the steering wheel and, and all control cables. Check out your boat before putting it into storage and fix anything that is damaged or shows exceptional wear. You don't want cracks and rips to worsen while your boat is in storage. Store fabric items from your boat such as sails, seat cushions, pillows, and flotation devices. Don't forget to store fire extinguishers. Prop open all drawers to allow circulation. Empty the refrigerator and prop its door open as well. It is a good idea to put a few boxes of baking soda inside your boat during storage to absorb moisture. Fluids should be drained. This includes the fluid from all water pumps, manifolds, engine blocks, toilets, fresh water tank, coolers, and any hot water heater. The gear case should be drained and filled with lubricants. Make sure to change the oil while it is the engine is warm. Be sure to change the oil filter, too. Remove the spark plugs and change the old transmission fluid. Also, put some WD-40 or some other fogging oil on a cloth and then wipe down the exterior of the engine. To prevent rust, consider sanding and then repainting the bottom of the boat. Disconnect all battery cables and take the battery out of the boat. You can wash the battery by using a solution of baking soda and water, which should then be rinsed off using distilled water. The terminal ends should also be cleaned and a light coat of grease should be applied to the terminal ends and cables. Thoroughly inspect the stern drive. All barnacles or plants should be removed before storage. Also, all fitting should be greased. Bilge pumps should be cleaned thoroughly and then sprayed with a lubricant that will displace moisture. Cover your boat tightly but make sure your cover allows for some ventilation and is free from damage. While your boat is in storage, you will need to keep your boat insured and registered. Bring your current registration and insurance with you when you sign your storage rental agreement. You will also need to provide the storage facility with updated insurance and registration information. The above list is not meant to be all-inclusive or perfect for every boat. 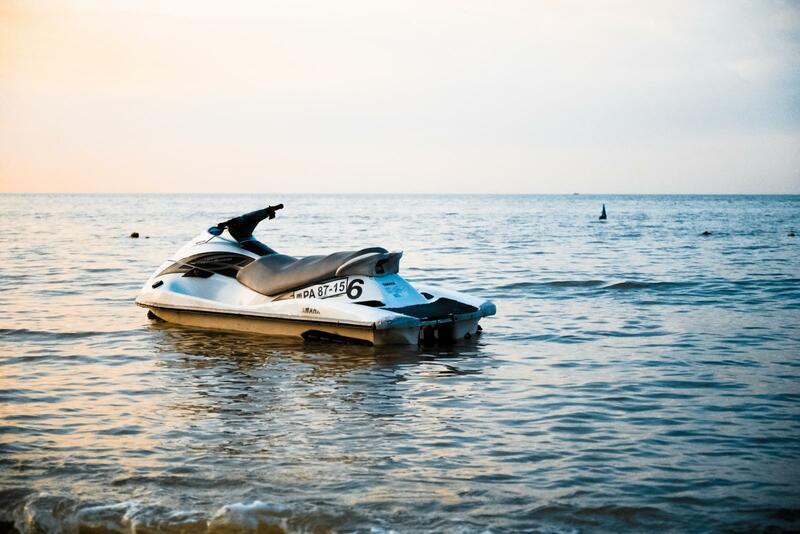 When storing a boat, it is best to seek help from professions with knowledge about your boat. Boats are a big investment that need special care and attention. San Clemente offers drive-up enclosed storage units which are great for boat storage. San Clemente Self Storage is also a great place to take care of your other storage needs as well. Not sure about how many boxes you may need for your size storage unit. Please see the Storage Tips section on "Boxes and Supplies". For your convenience, we sell a wide variety of boxes and storage supplies in our office at San Clemente Self Storage.